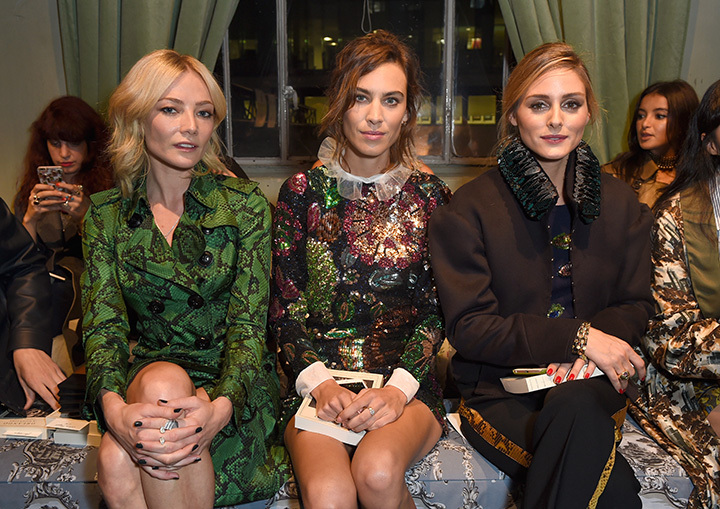 Burberry opened the doors to Makers House, its new show venue in the heart of Soho, starting a weeklong programme of activities with the presentation of its inaugural straight-to-consumer collection tonight. “Tonight’s show marked a very special moment for us – it was the culmination of a series of important changes we made designed to bring our collections closer to our customers. 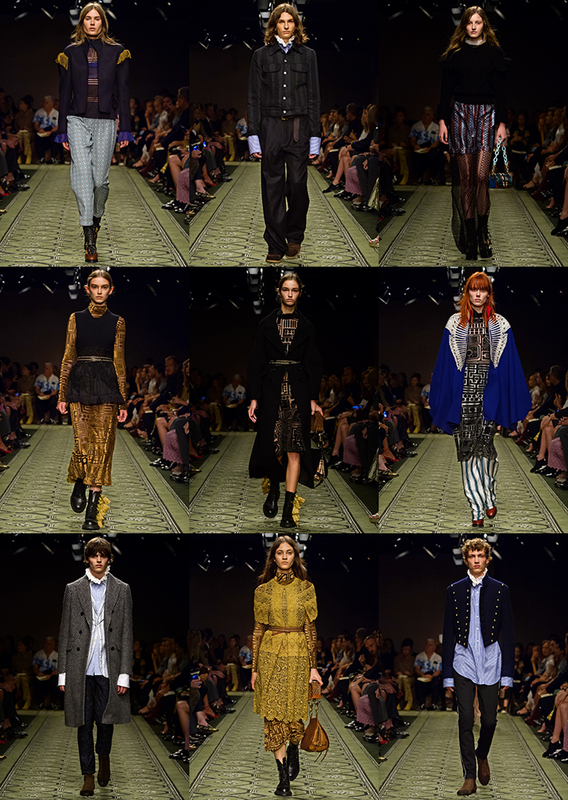 The collection was influenced by Virginia Woolf’s novel Orlando – a love letter to the past and to English history, and a kind of dressing up box to visit and revisit. Inspired by this, tonight also celebrates the start of an amazing partnership with The New Craftsmen. Together, we are opening the doors to “Makers House” – a space for visitors to experience the British design heritage that is so integral to us and everything we do, and also a chance to be immersed by the work of some of the most exciting creators, and the innovation and inspiration behind their craft,” – said Christopher Bailey, Burberry Chief Creative and Chief Executive Officer. 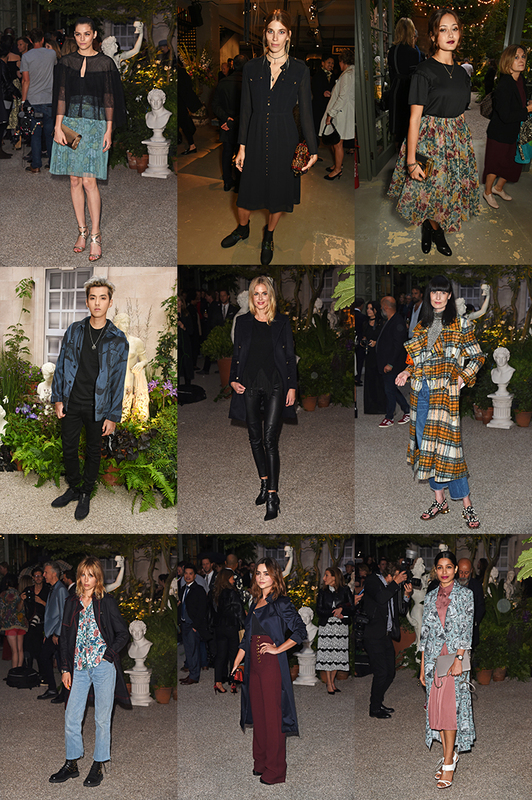 Guests attending the show at Makers House included actors Lily James, Felicity Jones, Jenna Coleman, Nicholas Hoult, Kris Wu, Freida Pinto, Vicky Zhao, Charlotte Le Bon, Jeon Do-yeon, Anya Taylor-Joy, Joe Alwyn, Ella Purnell, Burberry models Edie Campbell, Cara Delevingne, Jourdan Dunn, Amber Anderson and Clara Paget, as well as Mario Testino, Steve McQueen, Tom Harper, Alexa Chung, Poppy Delevingne, Adwoa Aboah, Lady Amelia Windsor, Sandy Powell, Luke Edward Hall, Olivia Palermo and Huda Kattan. 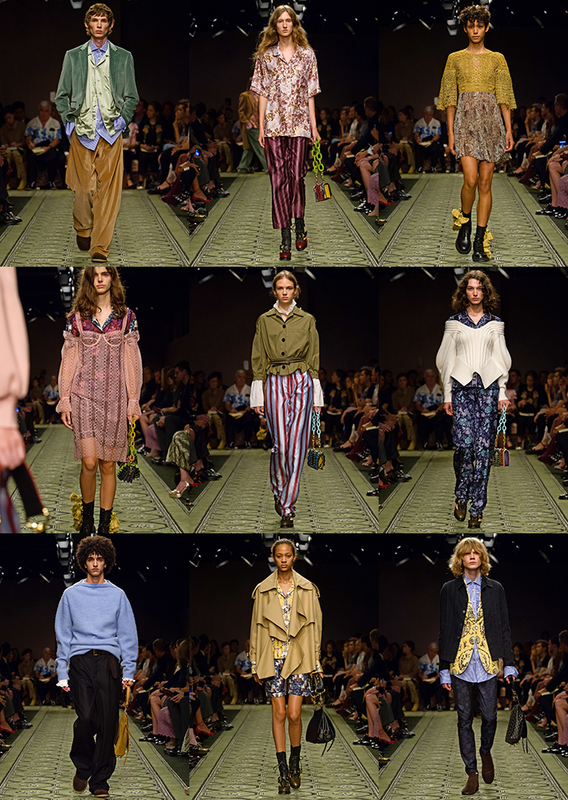 The brand’s September 2016 collection was unveiled in full tonight for the first time on the runway which spanned across three rooms painted in dusty hues of pink, green and yellow, echoing the colour palette of the collection. 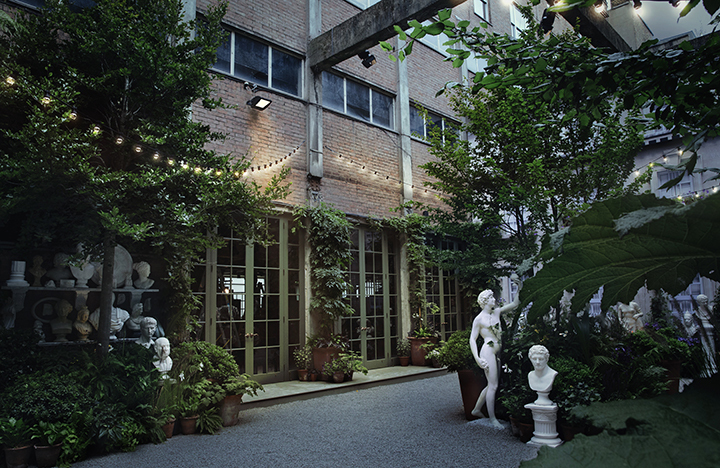 The walls of the venue were kept bare, nodding to the past and to the people who had inhabited the building before. Elements inspired by interior designer Nancy Lancaster were found throughout the space, including cornicing on the doorways, fabric-covered benches and the hand-woven carpet that was laid throughout featuring a pattern based on a ceiling tile found in a house she had updated. 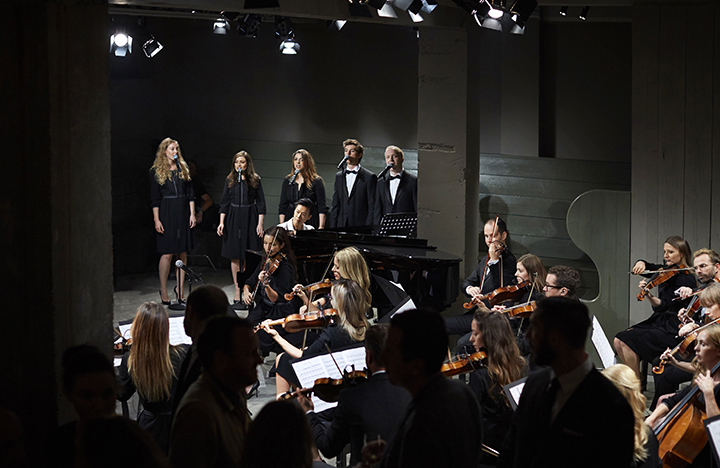 A 21-piece orchestra accompanied by pianist Rosey Chan and vocalists, performed ‘Reliquary’ a score written by British composer Ilan Eshkeri, exclusively for the show. 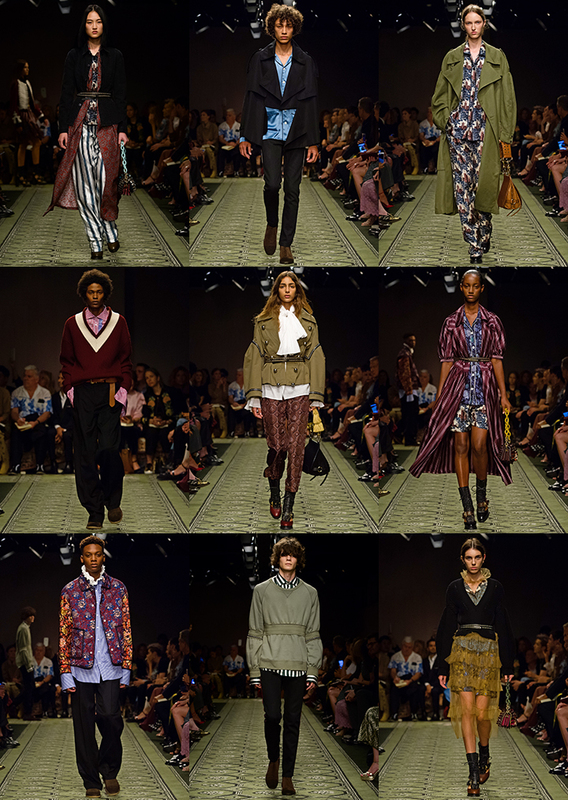 The origins of the new men’s and women’s collections, which were shown together for the first time, are found in the spirit of Nancy Lancaster’s interior and garden designs and Virginia Woolf’s novel ‘Orlando’. Inspired by a reflection on the way a house changes its character over the centuries driven by the people, clothes and cultures that inhabit it, the collection combines noble and authentic fabrics, blending denim and sweatshirting with cashmere and pyjama silks. It blurs masculine and feminine, casual and formal, night and day, all mixed together to create a new reality born of all the moments that have gone before. 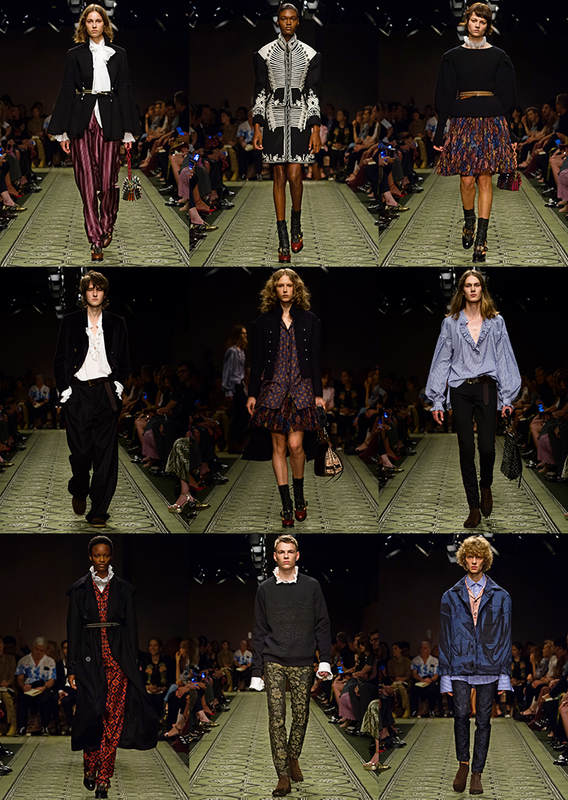 Highlights from the collection include deconstructed trench coats, regimental capes, coats and jackets (including The Cavalry Jacket, The Military Tailcoat and The Parade Jacket), waisted field jackets (including The Floral Field Jacket), pea coats, pyjama-style trousers, shirts and shorts, and ruffle-neck shirts. 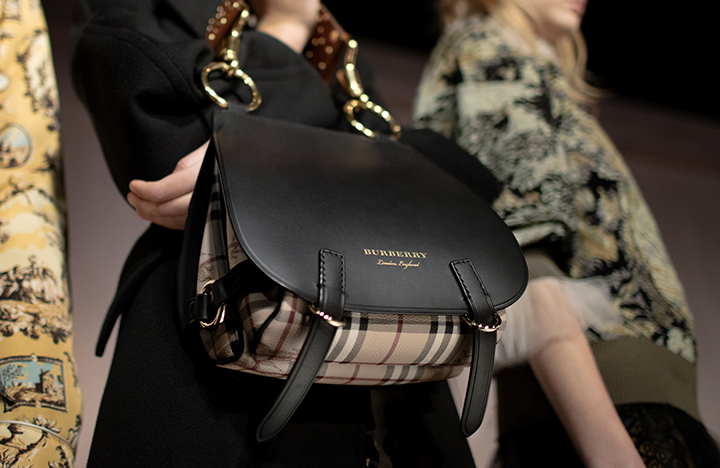 Also previewed today was The Bridle Bag, a new runway design for men and women, which takes its inspiration from classic British equestrian designs and Burberry’s outdoor heritage. Guests were given a preview of Makers House, which will be open to visitors from 21 to 27 September, with a daily changing programme of activities and installations showcasing original works by some of Britain’s finest craft makers, as well as a display of the entire September collection. 1. 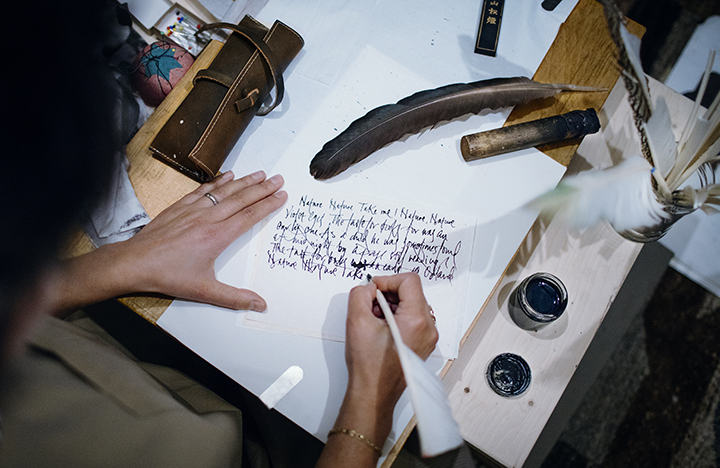 Precision Workshop, which celebrates the meticulous nature of craft with saddlers, embroiderers and bookbinders perfecting their delicate and intricate work. 2. 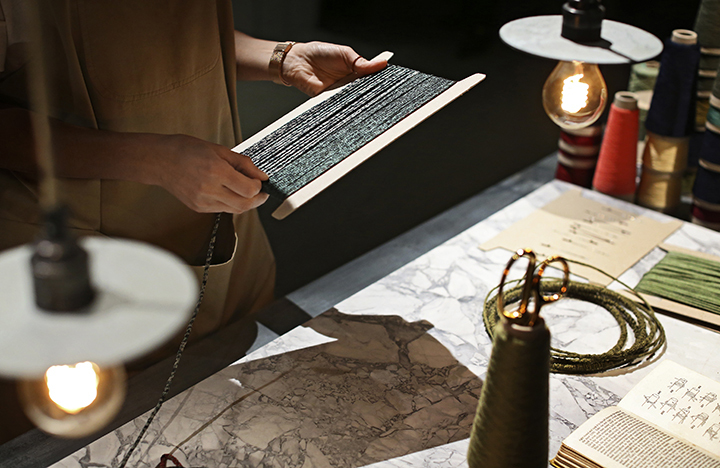 Sensory Lab, which demonstrates the experimental and expressive way of crafting and creating with colour, opulence and scent. 3. Library, featuring a JAMES PLUMB staircase inspired by the library scene in Orlando, which will host live readings from Virginia Woolf’s work by Pin Drop daily at 1 pm for the public. 4. Gabardine Tent, representing a place of interaction and exchange where different makers invite the public to choose words, bring garments, share stories and sit for portraits throughout the week. 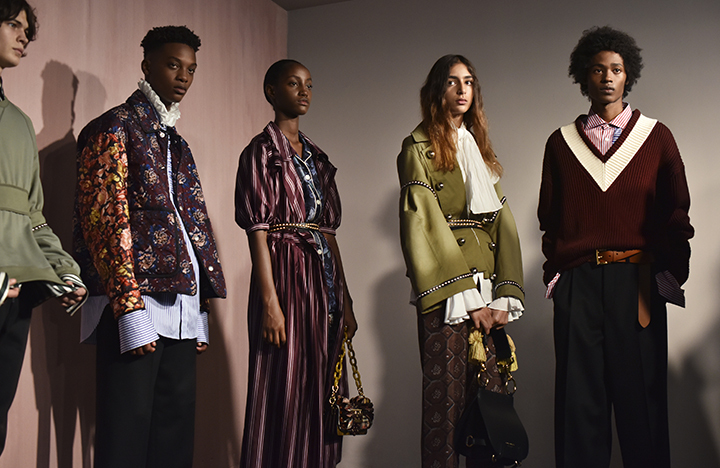 In this space, the Burberry archive team will also journey through the pivotal moments from the company’s 160-year history. 5. 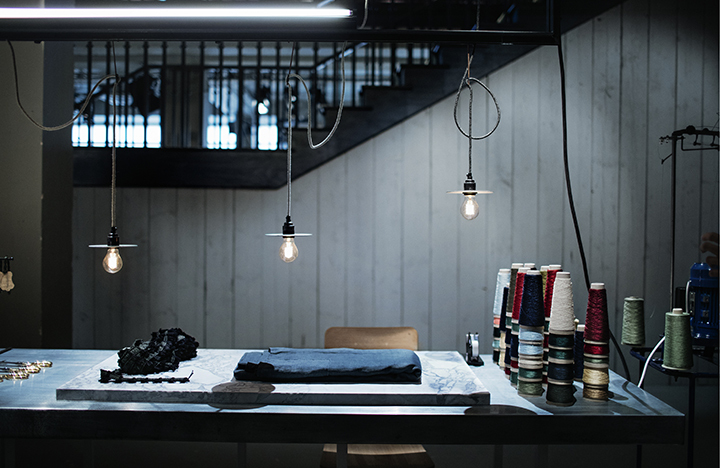 ‘The Studio’, a purpose-built creative set at Makers House, where guests can become part of the new September collection experience. The Studio allows visitors to publish short dynamic edits to Instagram and other social media channels. Guests will also receive a photographic print from The Studio. 6. 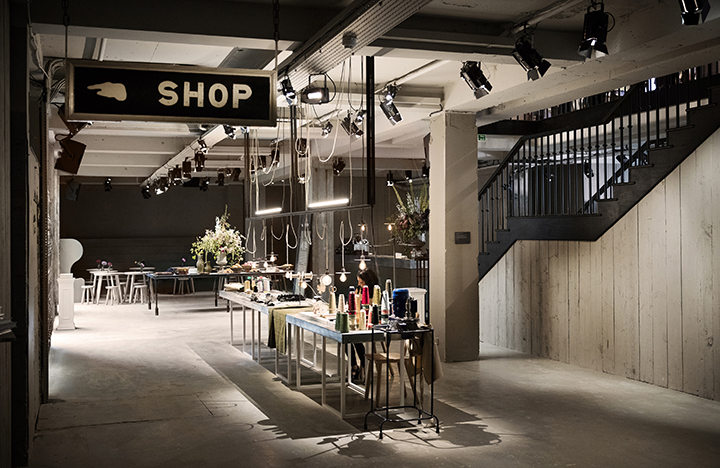 The New Craftsmen Shop, a shop selling products and designs created by The New Craftsmen. Limited edition reissues of ‘Orlando’, with the cover artwork recreated from the book’s first edition and a new foreword by Christopher Bailey, will also be for sale in the shop. 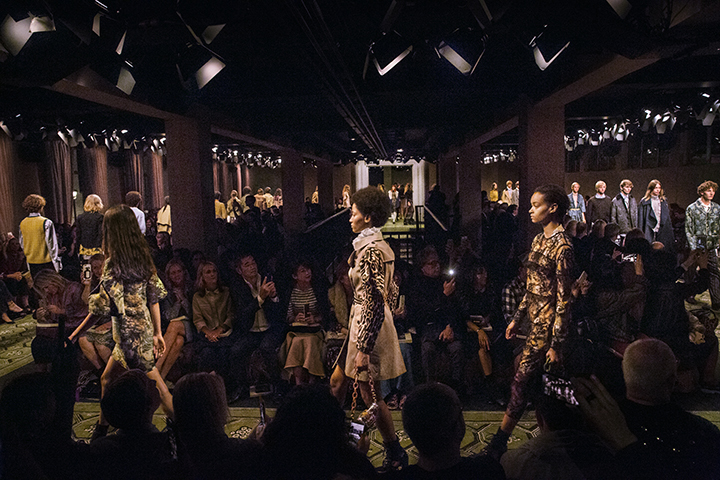 The show was streamed live on Burberry.com and, for the first time, on Facebook Live, allowing users to watch the runway show in real time with the stream autoplaying in their feed. It was also shown live on YouTube, WeChat and partner sites globally. 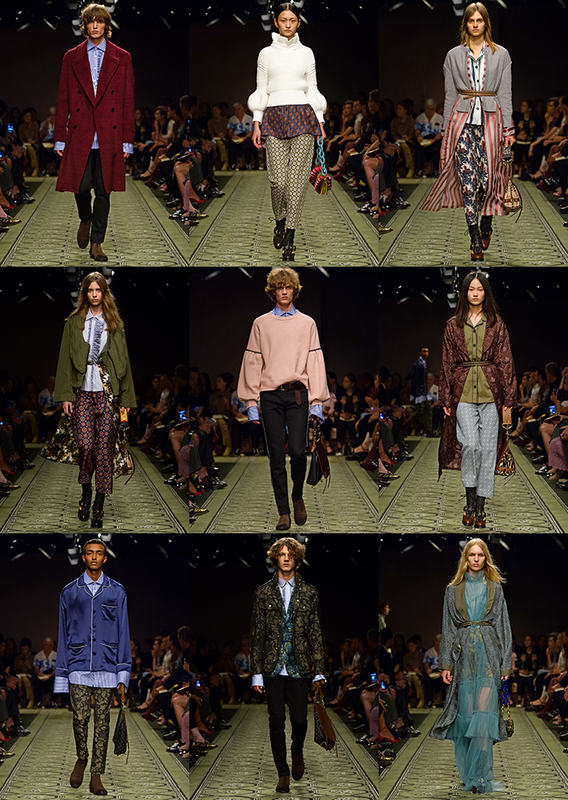 Burberry also launched on Facebook Messenger, giving users a unique way to discover the collection in real time and offering live customer service on Messenger. 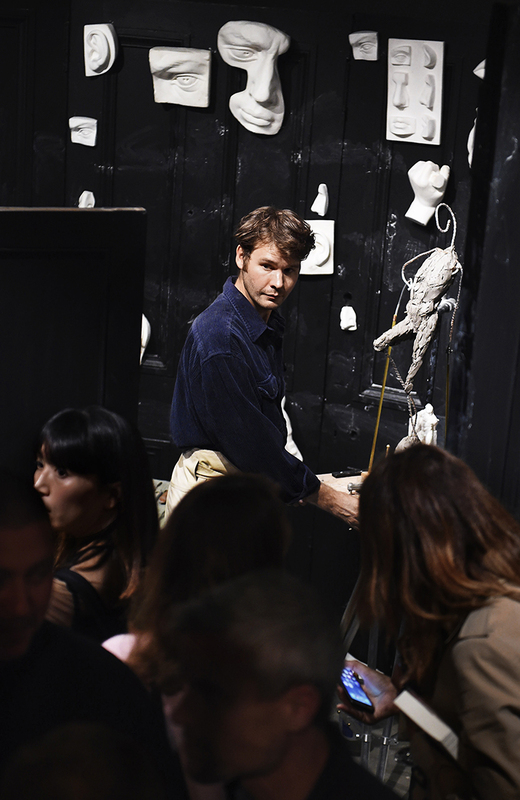 Users were invited to uncover the inspiration behind the collection, explore the new show space and unlock content exclusive to Messenger. 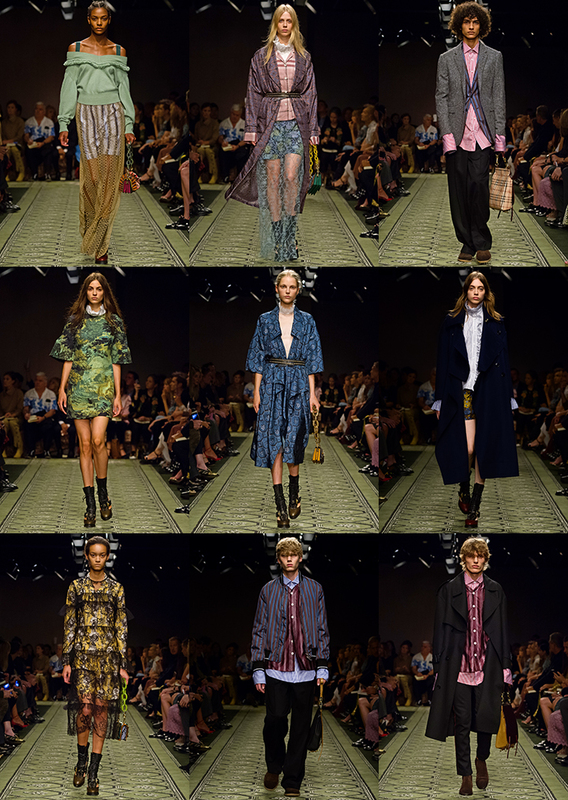 And for the first time, Burberry is allowing followers to buy a piece of the collection exclusively on WeChat through in-app purchase. Two editions of The Bridle Bag, the new runway design, are available to purchase exclusively on WeChat.